They may be the asteroid-busting dream team, but it could just take one good idea from an MIT grad. We all know what will happen if a apocalypse-heralding asteroid comes hurtling toward Earth. 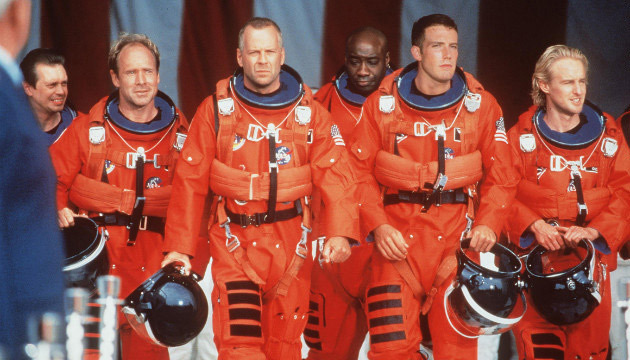 Bruce Willis and his rag-tag team of oil rig workers join forces with NASA and detonate a nuclear warhead within the depths of the asteroid. Actually, it could be a lot more simple (not to mention feasible) than that. MIT graduate student Sung Wook Paek came up with the idea of shooting white powder paint pellets at the asteroid, about five tons’ worth. The highly reflective surface would deflect more of the sun’s photons, eventually pushing the asteroid onto a different course, away from Earth. Of course, photons are very small and can only do so much, so we’d have to give the asteroid a makeover at least 20 years ahead of the potential collision. Paek’s idea won the United Nations-sponsored 2012 Move An Asteroid Paper Competition, beating out the idea of – you guessed it – nuking the asteroid.